By Mario Alexander on November 21, 2018. No matter the nature, and size of your business, the fact is, you will always encounter risks along the way. Some threats are a result of human errors while others are caused by nature and hence unpredictable. Therefore, it's advisable to protect yourself against such risks to avoid interrupting your general business' operations. When it comes to getting the right cover, different aspects of your business are put into consideration. 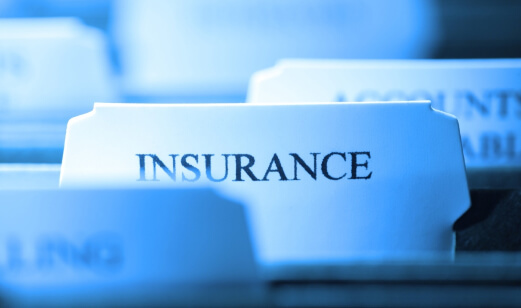 However, there are a few similarities, and in the article, there are a few types of insurance that all companies should consider. This type of insurance coverage is also known as E&O (errors and omissions). It takes care of the harm caused to the business by negligence claims or failure to perform. Personal liability insurance is a requirement by law in some states. It's mainly focused on areas such as medical and legal which are sensitive. However, you should have in mind that it doesn't cover criminal prosecutions. Also, most potential liabilities are not usually included in the insurance policy. Losing your property during a calamity is often a big blow to the business. It can bring a lot of losses and even halt your business operations. That's why you require an insurance coverage on your property. The policy covers all equipment associated with your business in the event of theft, fire, or storm. However, earthquakes and floods are not usually included in the cover. Therefore, it's wise to consult with the insurance agent if your business is located in an area prone to such calamities. Employees are an essential part of your business. They are the guys behind a company's success stories. Therefore, they deserve the best form of treatment, and that's why you need a worker's compensation coverage. Today, it's a requirement by law in almost every state to have this type of cover. The worker's compensation insurance covers your employee's medical treatment, disability, and even death benefits in case they occur in the line of duty. This cover makes the employee feel safe and part of the business. That's why you shouldn't hesitate to arrange a quote. Vehicles are essential when it comes to running of daily errands related to the business. They make the flow of work smooth and quick. It's for this reason that you require a vehicle insurance cover to ensure that your business isn't affected much by a vehicular accident. This insurance covers your vehicle/s or staff driving the vehicle, against accidents. In the event of a disaster, your business is likely to be affected and hence closed. As the name suggests, business interruption insurance covers your business against interruptions in operations that may be caused by the closure. With this cover, your business gets compensated for lost revenue that may occur during the period of closure. There are plenty of risks involved with running any business. Some risks may be small while others may impact your company in a big way. The impact is influenced by the nature of your business. That's why you need insurance policies. Without the mentioned insurances, your company may encounter closure or bankruptcy in the event of an accident or disaster.